"Work spouses" have a very particular relationship, usually informed by how much time coworkers spend with one another in a professional setting. 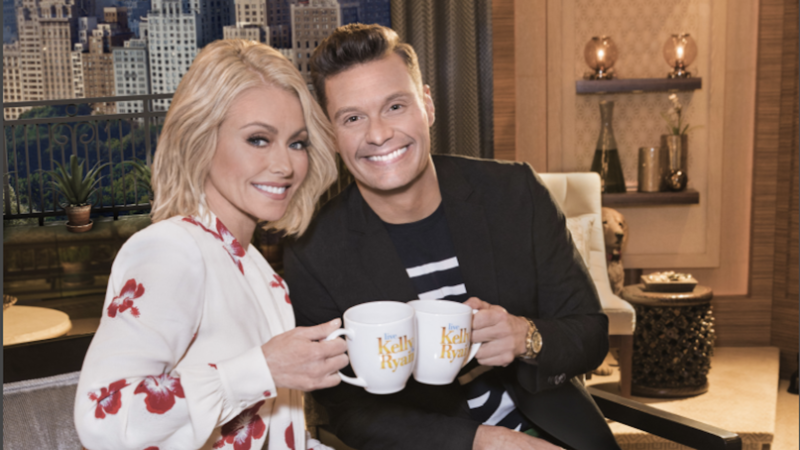 Now, these relationships are being put in the spotlight via a comedy series based on the real-life professional relationship and friendship between Live with Kelly and Ryan cohosts Kelly Ripa and Ryan Seacrest, which is sure to be an especially good time. As reported by Variety, ABC has committed to a "put pilot" for the comedy series Work Wives, which is described as an ensemble comedy that explores the dynamics of work spouses — as well as how those bizarrely intimate relationships affect everyone around them. This presumably includes actual spouses, friends and other coworkers. A put pilot commitment guarantees ABC will air the pilot episode even if the network does not pick up the series for a full run, though with the collective power of Ripa and Seacrest, it seems unlikely it won't be picked up for at least one season. Michael Ian Black is on board to write and executive produce Work Wives, with Seacrest co-executive producing alongside Nina Wass and Andrea Shay under his Ryan Seacrest Productions banner. Ripa will also co-executive produce along with her husband, Mark Consuelos, and their business partner, Albert Bianchini, under their Milojo Productions banner. Put an orange filter on this pic of me and Ripa for #UnityDay2018! Today this color is a symbol of acceptance, inclusion, and a pledge to always #ChooseKindness 🙂 Go orange! There's no word yet on who will star in Work Wives or when the pilot will air. Neither Seacrest nor Ripa has commented on the put pilot commitment from ABC at time of writing, likely because the news dropped in the middle of their Halloween 2018 shenanigans on Live. However, the concept behind Work Wives is so relatable we can't wait to see how the project develops.